I have said it before but it’s worth mentioning again, I really like Wilkinson hardware for my guitars. 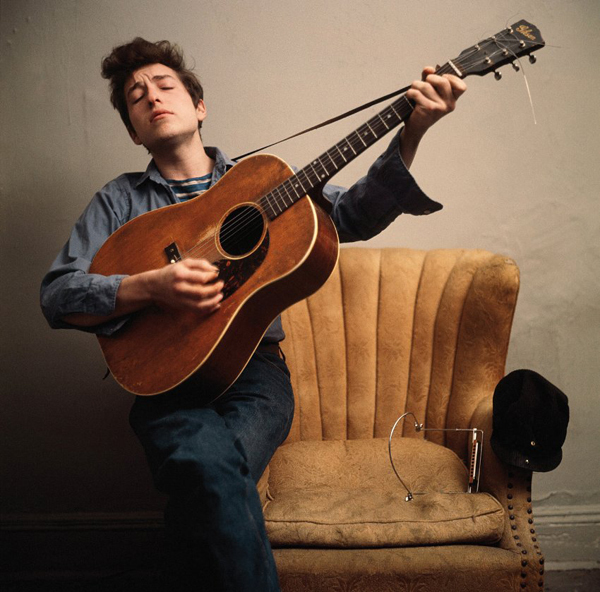 I have their vintage bridge with compensated brass saddles on numerous of my Telecasters and their machine heads on even more acoustics and electrics. So far I have tried the following models, WJ01GD, WJ44CRGD, WJ309GD and now WJ28NGD on my new Morris W-50. Wilkinson machine heads are cheap, good quality, accurate and the gold doesn’t seem to fade straight away. They are made in Korea and was first distributed through John Hornby Skewes & Co. Ltd. but now you can find them pretty much everywhere. I bought mine from Axesrus which turned out to be really nice and helpful guys. The best part is that now you can get Wilkinson machine heads with either 8 mm or 10 mm bushings which is perfect since a lot of the Japan made acoustics comes with 10 mm holes. I don’t just randomly change the machine heads on all my guitars but I can’t stand the horrible bulky 1970’s closed machine heads in chrome that most Japanese guitars comes with. 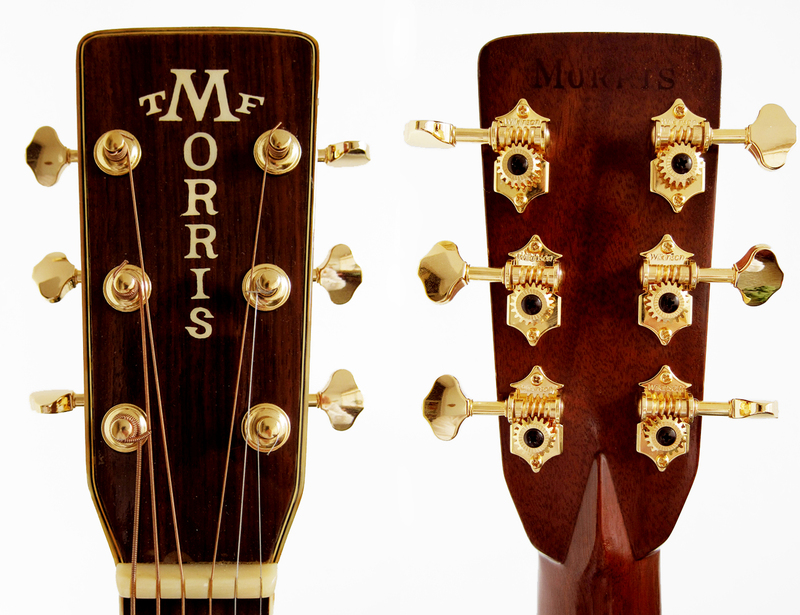 How much nicer doesn’t the Morris W-50 look now with these delicate open gear tuners in gold? 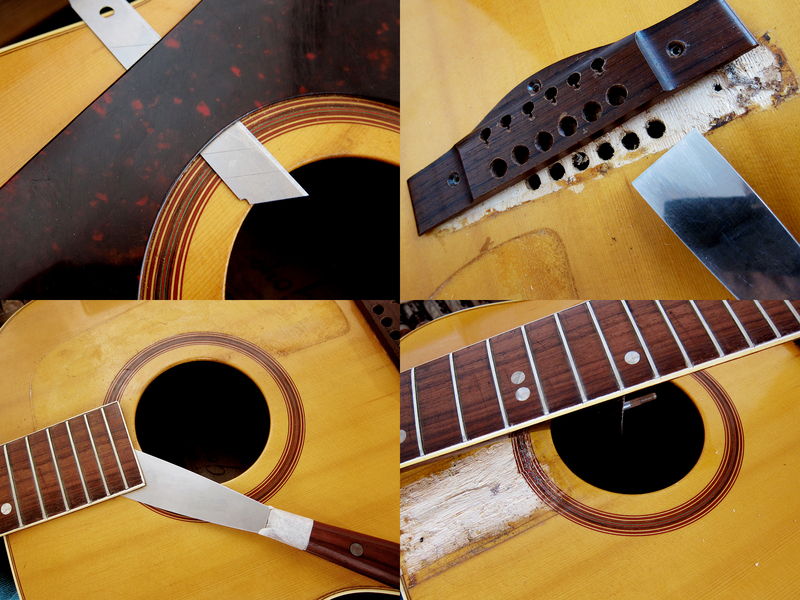 I started with taking the guitar apart. 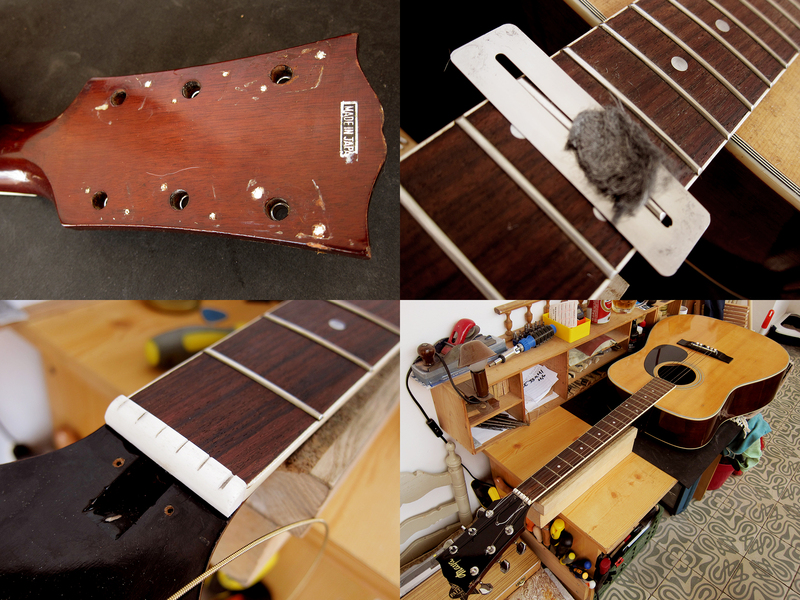 The neck needed a reset, the pickguard was loose and the previous owner had bolted the bridge to the top. I used a spatula that I heated on a normal clothes iron, worked like a charm. 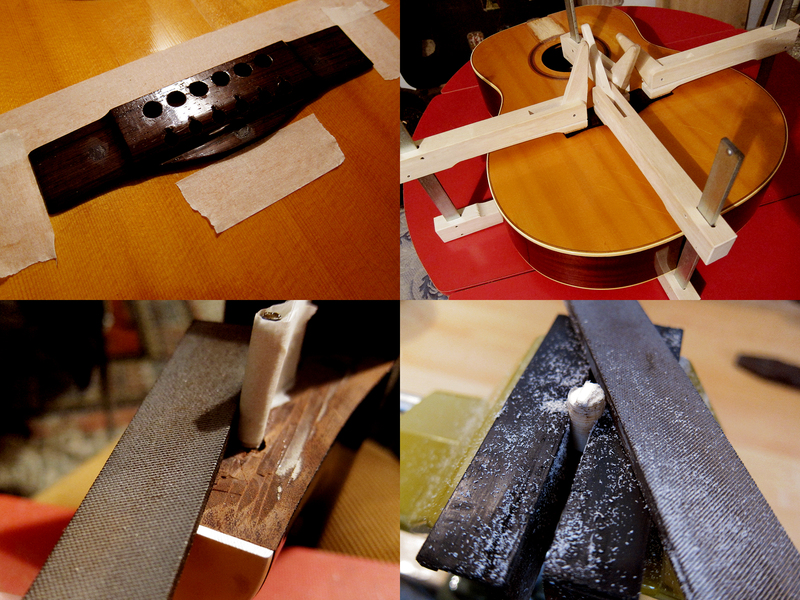 I filled the holes in the bridge and then glued it back. 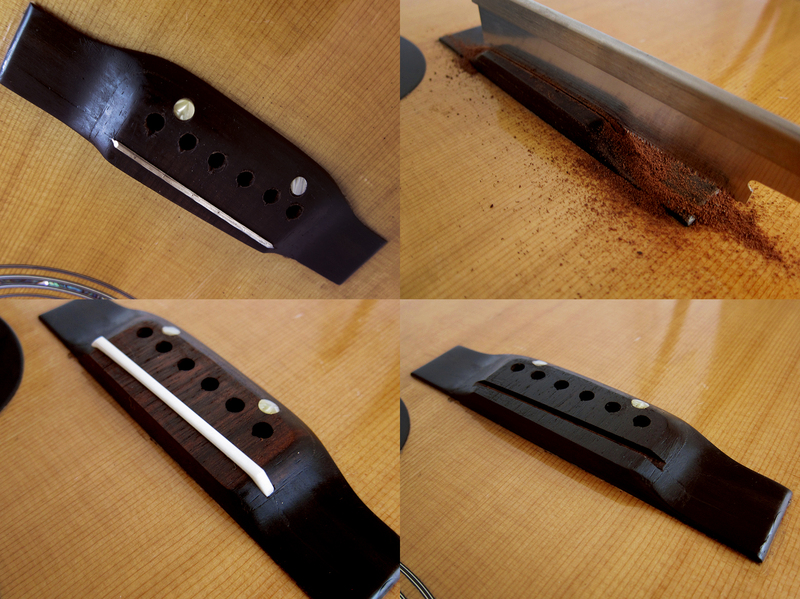 I filed down the heel to get the neck angle correct and get guitar playable again. 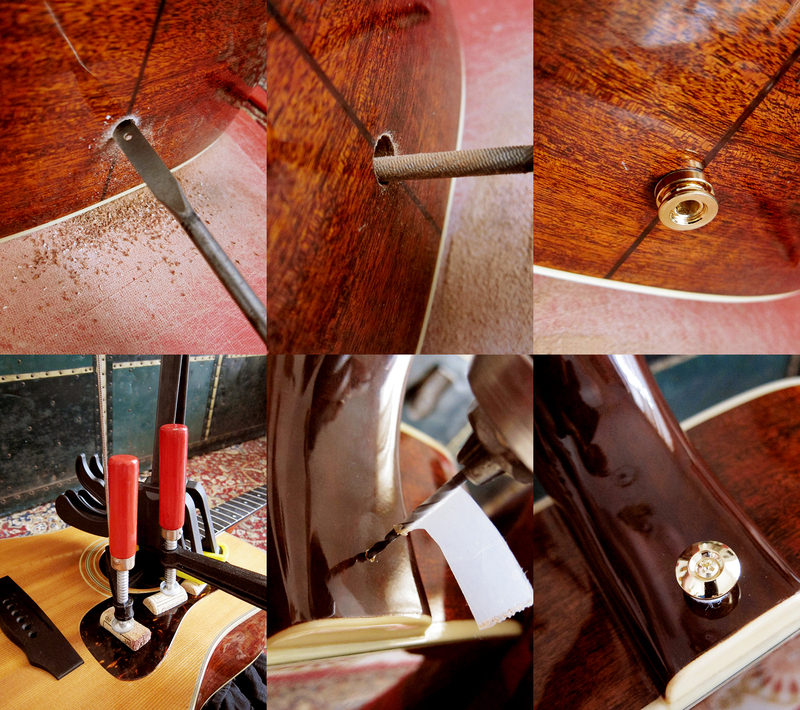 I re-glued the pickguard and reshaped the top on the saddle screws. This weekend my Westone Stratocaster found a new owner. 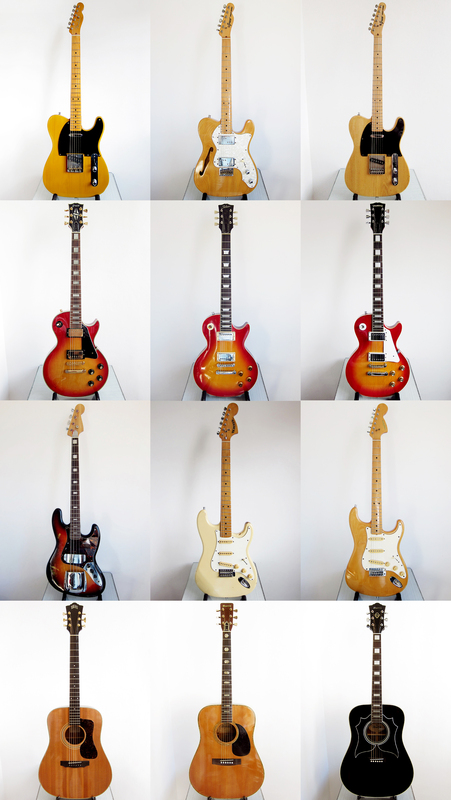 It felt kind of sad, I don’t normally miss guitars that I sell, well that’s I lie, I have missed all of the guitars I’ve sold but normally not this much. Oh well, I needed to make room for my new Tokai Silver Star SS-36 so it had to go. 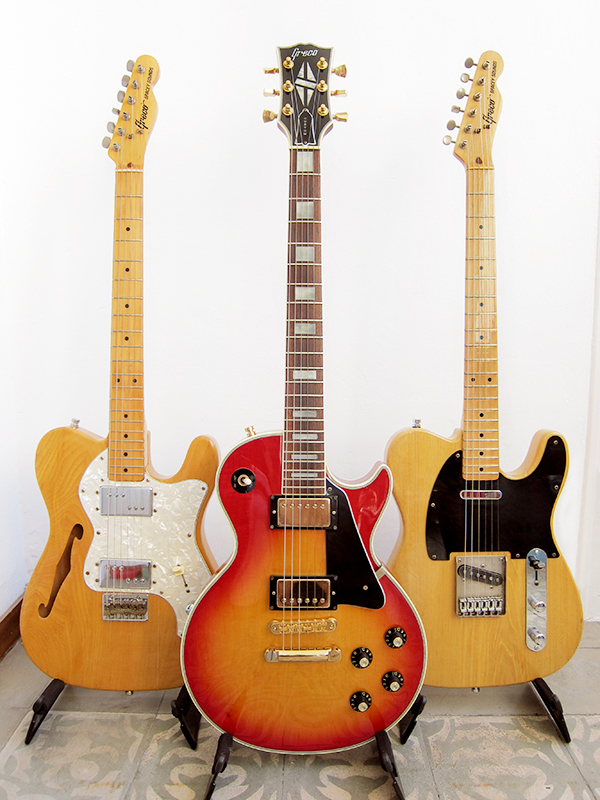 I have had two Westone guitars, a Strat and a Les Paul copy and I really liked both of them. 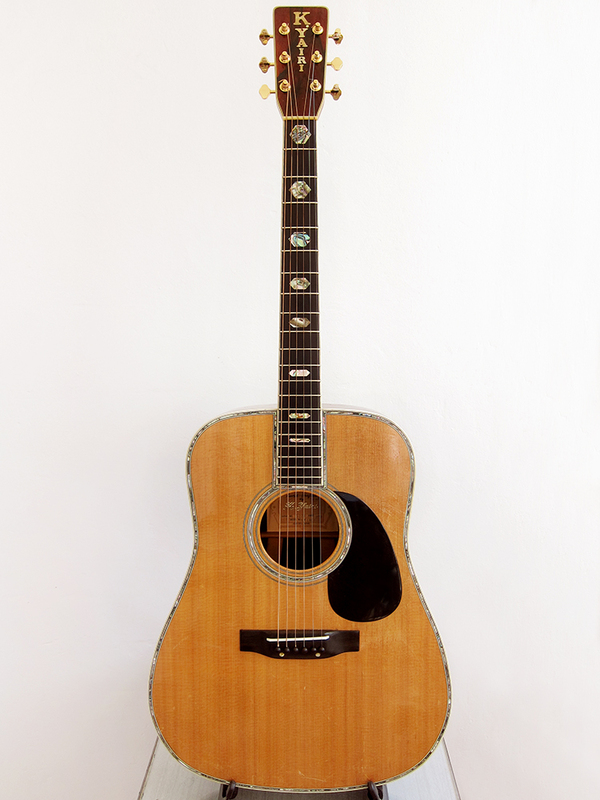 Westone built Fender and Gibson copies in the late 1970’s before they started on their own heavy metal influenced creations of the 1980’s that owned the brand it’s name. You can read more about the brand Westone here. I have to say that the quality was pretty good for being a less known brand from the Matsumoku factory. I’ve always claimed that FujiGen was better than Matsumoku but I start to think that might have been more about when and not so much where. 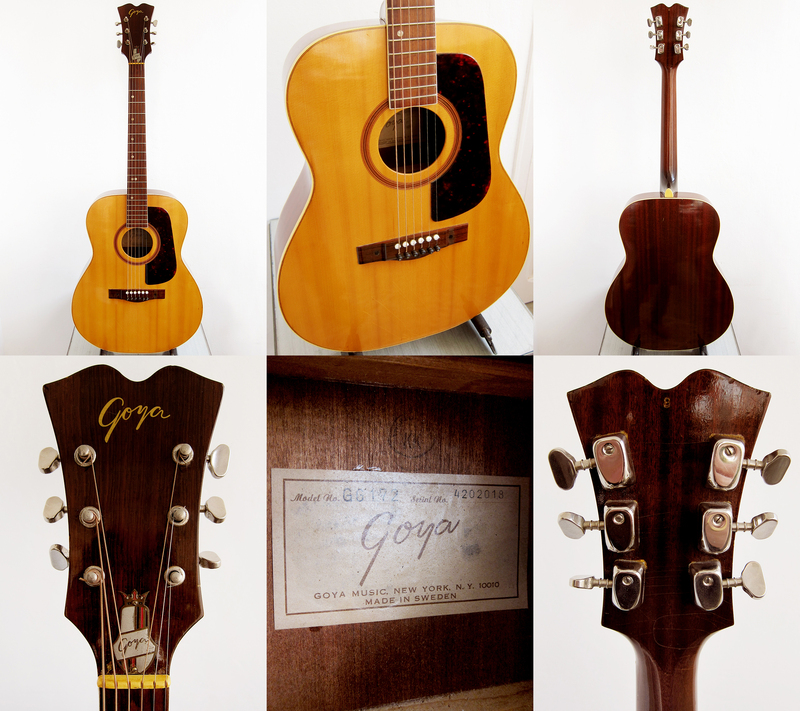 There was a huge change in Japanese guitars around 1975, not just the quality but perhaps more about how well they managed to copy the big American brands.Therfor a Greco guitar from 1978 would be better built than one from 1972, not just because the first was made by FujiGen but because it was made after 1975. 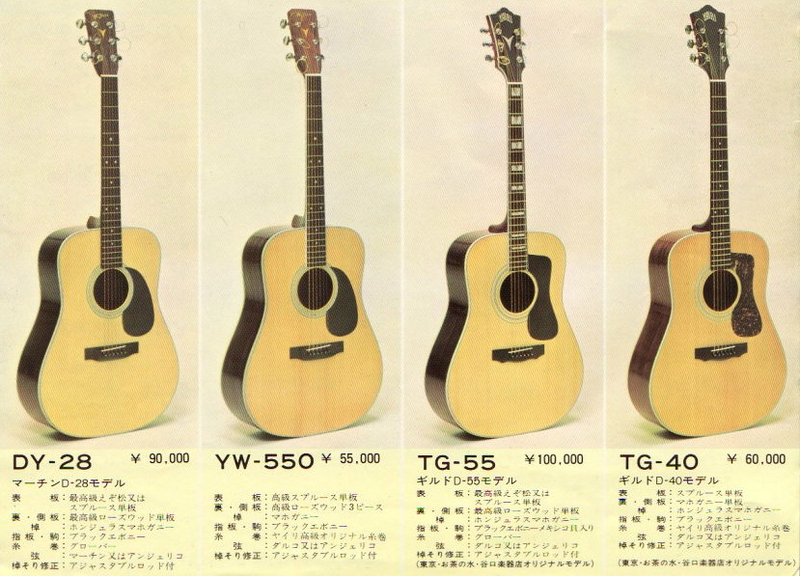 You can read more about in my earlier post, Are all Japanese guitars good? 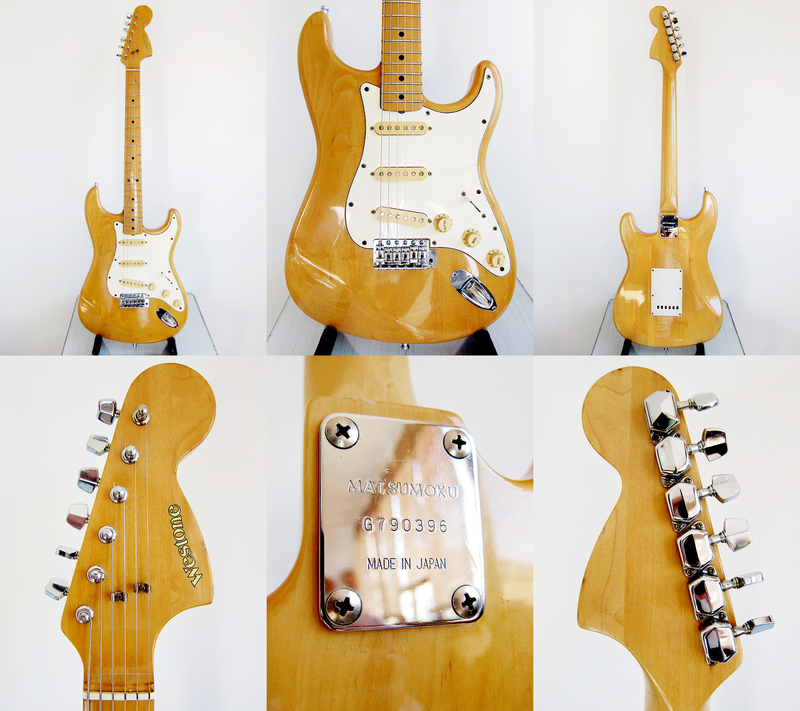 I think what I would miss most of the Westone Strat is the Sen ash body, the wood was amazing and without any doubt the heaviest and most solid Strat I have ever seen with a fantastic sustain. The pickups were pretty great too, not Grey Bobbin pickups like on my Tokai Silver Star SS-36, but still, pretty sweet sounding. 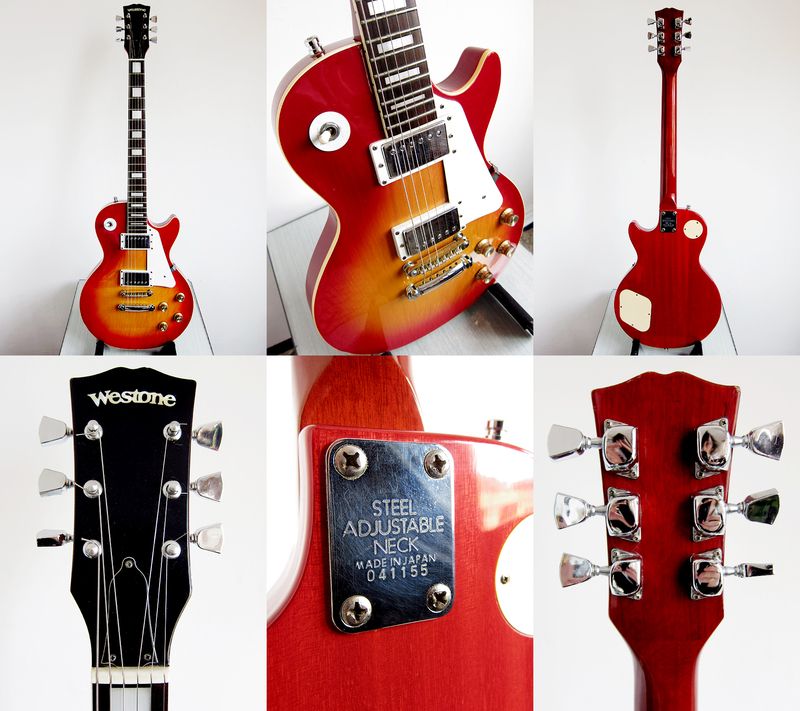 The pickups were pretty great in the Westone Les Paul too, maybe there was something special about these late 1970’s Matsumoku built Westone guitars. On Saturday I found myself a Maya F335G. 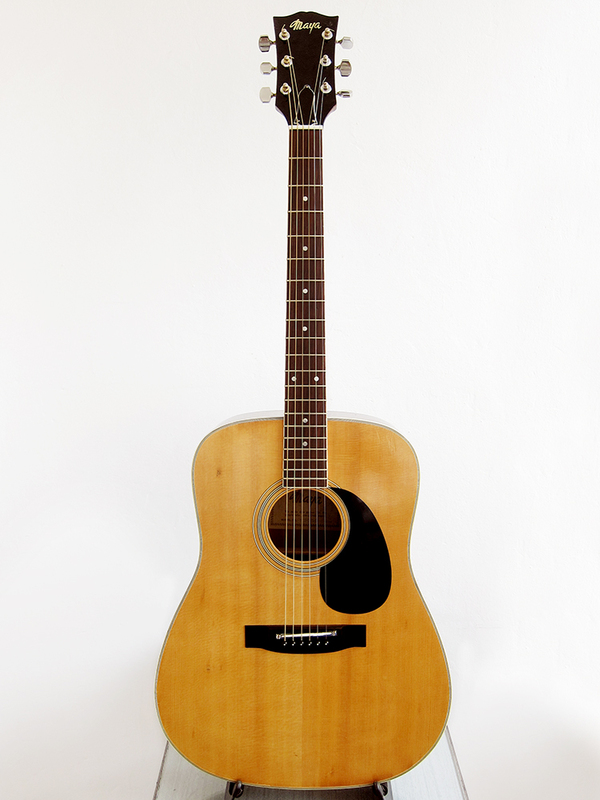 As mentioned before, I’ve been after a Gibson J-45 or J-50 for quite a while so when I saw this Japan made Gibson J-50 copy I couldn’t resist. 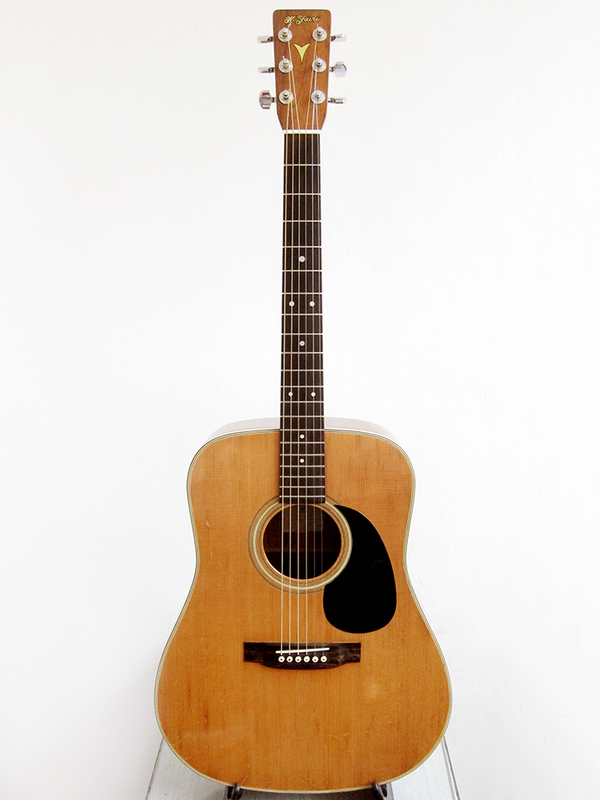 It was in a terrible state and strung with 4 nylon strings so I couldn’t test it but I trusted my gut feeling. 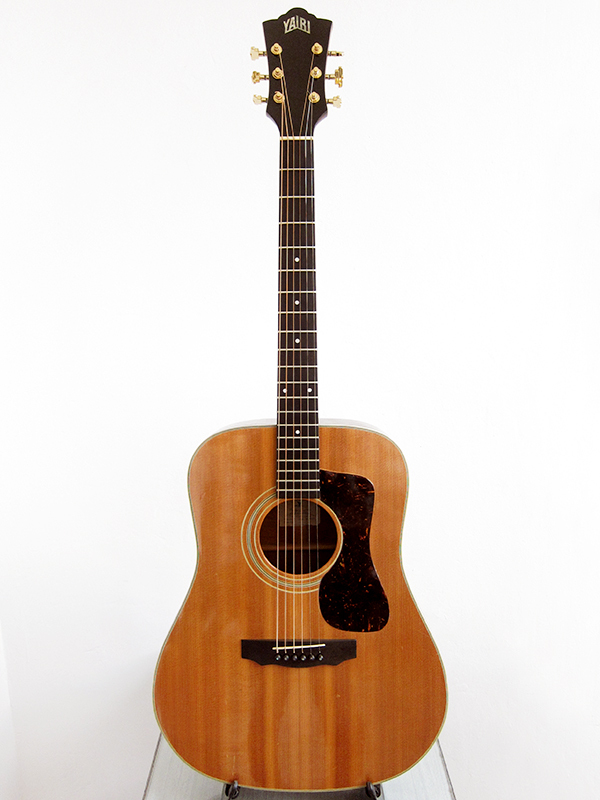 It doesn’t sound like a Gibson J-50, I didn’t really expect it too either, but it does sound pretty good. I would say that it sounds better than the two Suzuki’s I used to have, the Kiso Suzuki WE-150 and Suzuki Three-S F-120, even though the build quality is pretty much the same. There is a huge step up to my Morris WL-35 and Morris W-40 and my beloved K.Yairi TG-40, both in build quality and sound. Having said that, there is something with this Maya that I really like, it has way more bass then the Suzuki’s and overall a pretty nice and full sound. The only downside is that it feels pretty stiff to play so I will probably put 011’s on it next time I change the strings. 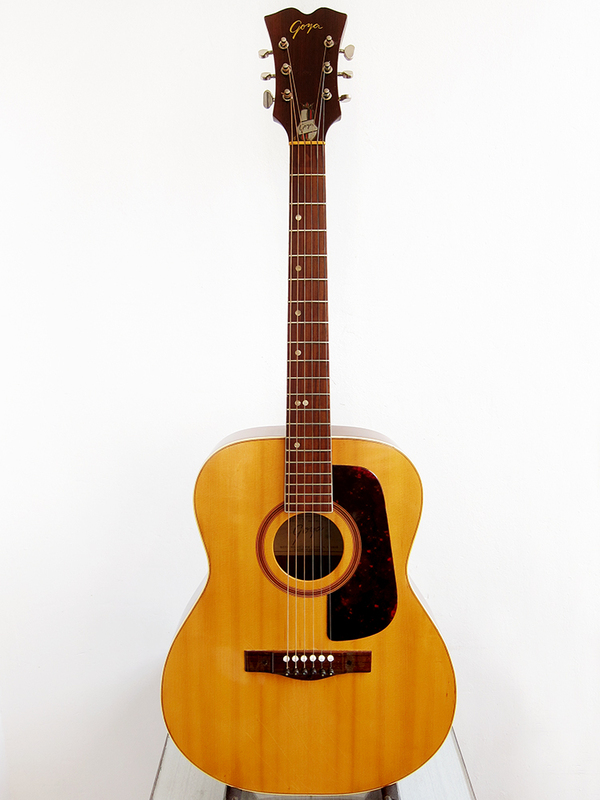 According to my previous post about Japanese guitar brands Maya was made by Chushin Gakki in Kobe, Japan, during the 1970-80’s. Even though I really like this guitar I have it listed for sale if anyone is interested in buying it. The previous owner had used a collection of random oversized wood screws to keep the machine heads in place so the first thing I did was to remove them and fill the holes. I polished the frets and oiled the super dry fretboard and then put on a bone nut and saddle which improved the tone quite a lot.